On Good Friday I met with my mechanic for lunch. 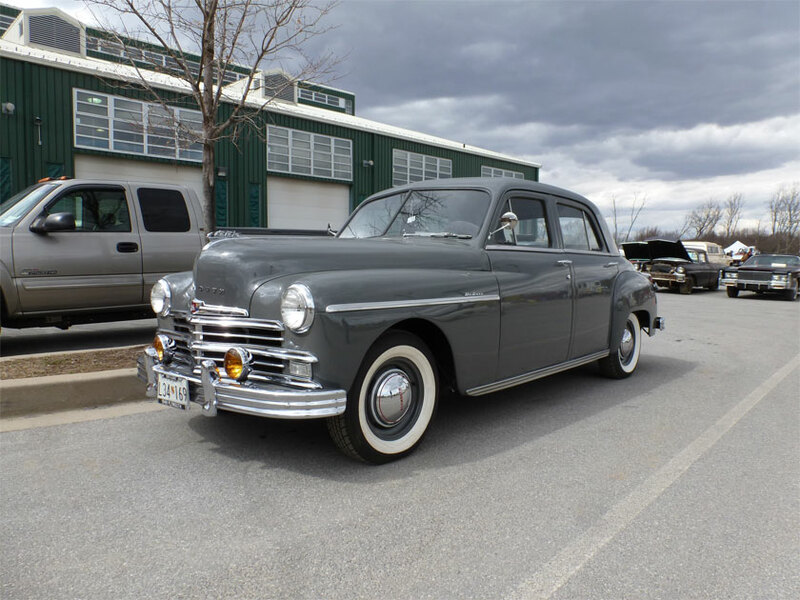 As we set out to buy some parts he mentioned that there was an Antique Automobile Club of America swapmeet in town. I had not heard about it so off we went. There were a few neat vehicles in the parking lot on our way in including this 1940s Ford. 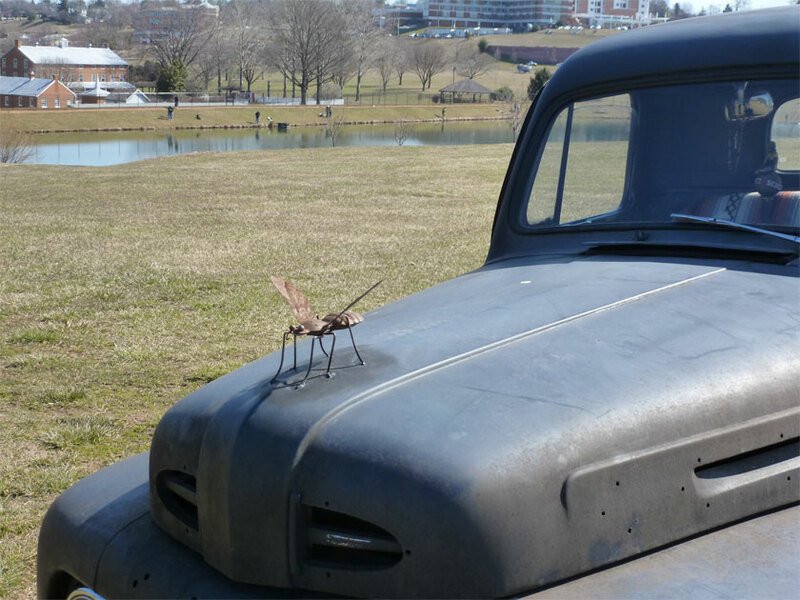 It has a bug on its hood! 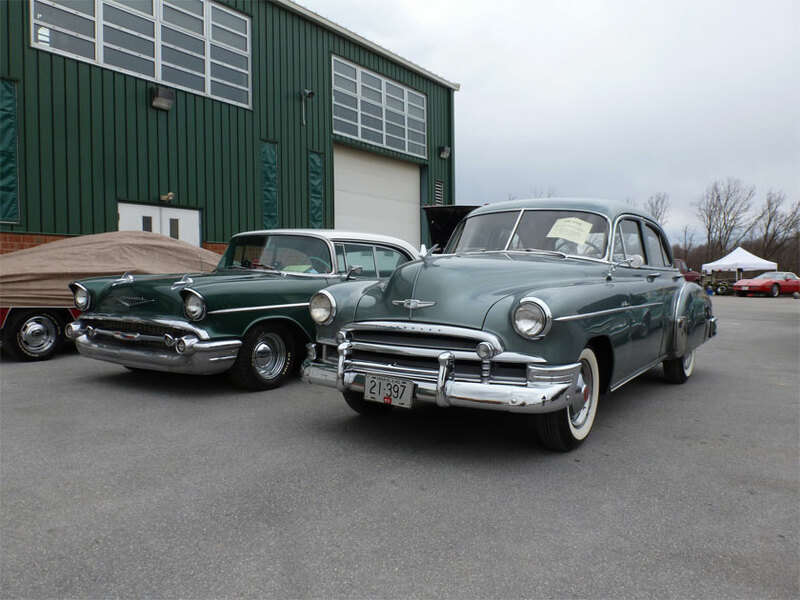 We found a few neat items amongst the vendors and I enjoyed looking at the cars for sale. Here are a couple nice Chevys. I would love to drive the silver one on a daily basis. And there was a nicely restored Plymouth as well. 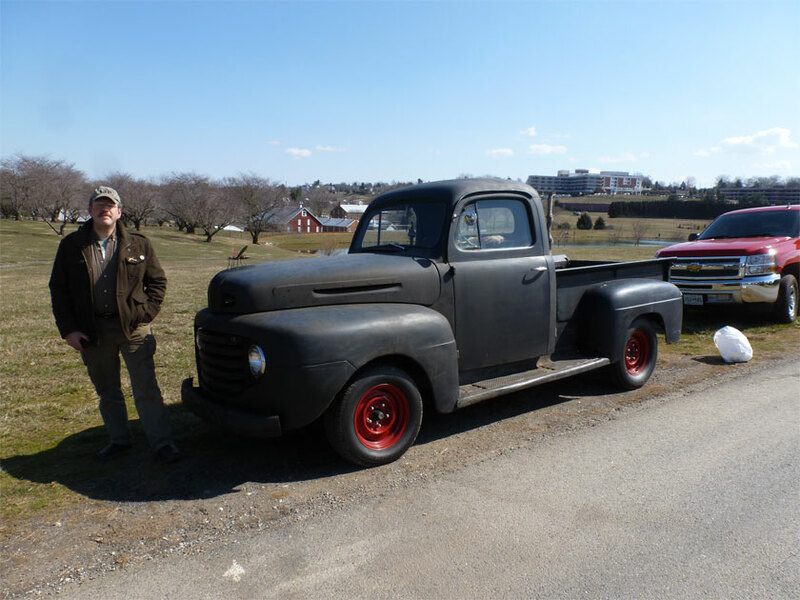 We also met the owner of Vintage Restorations LTD which is a couple towns over from us in Union Bridge. They specialise in vintage European sports cars and have a beautiful old industrial building for their facility. 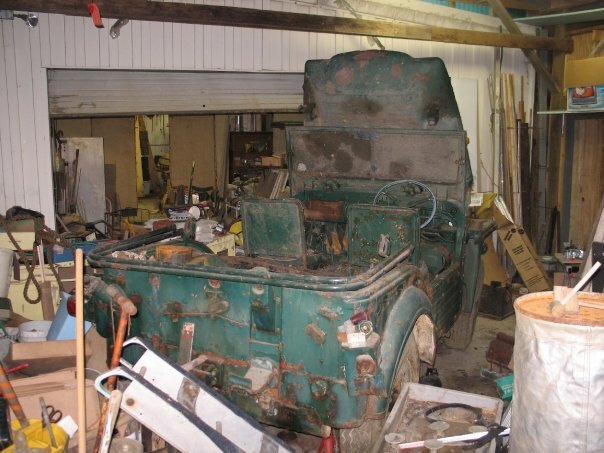 The arrival of the Texas barnfind Willys MB this week, and some postings I saw about Austin Champs, made me seek out photos of the fun barnfind I purchased years ago. It was a British military Austin Champ. At the time I was working summers in a local bicycle shop. 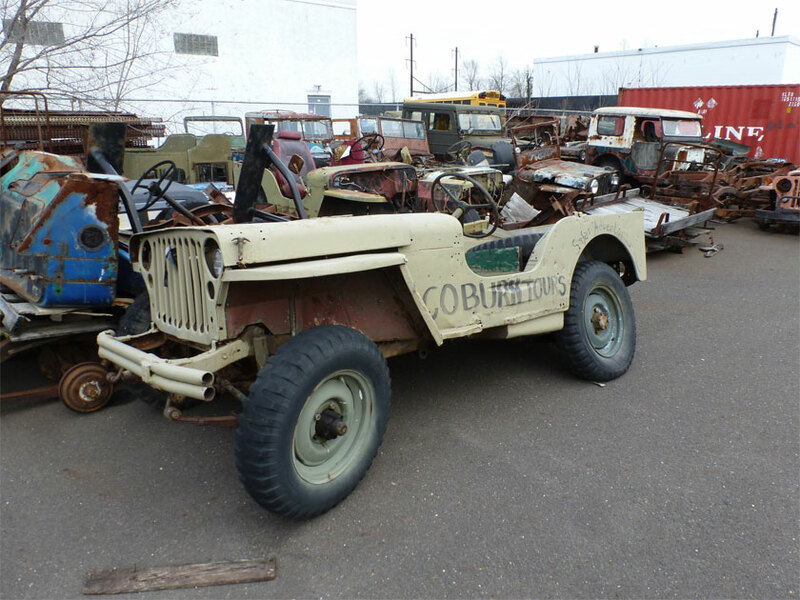 A friend of the owner knew I was into antique Jeeps as I often drove the Willys MB to work. He asked if I had ever heard of an Austin Champ. He said his 92 year old father had one in his workshop and wanted to sell it. (on a side note, his father was a neat fellow who worked on the Manhatten project in WW2). I was intrigued and went home to research the vehicle. As the price was right for a penniless schoolteacher we made an arrangement and my poor put-upon rollback driver, Bob, joined me for the adventure. The extrication was quite interesting. Brake drums were frozen and a whole pile of oddball items had to be removed to get the Champ out of its shed. The building it was in was a steel workshop built in front of another workshop. There were even tunnels going into the hillside and under the main house. (The main house was built out of salvage and painted in giant polka-dots!) I actually got lost at one point looking for a light switch. The Austin Champs were made in the early 1950s and were eventually replaced with the more simple and lightweight Landrovers. After I worked on the Champ for a while I really felt like it was designed by a committee. Very heavy and over-engineered. After putting a good amount of work into it I finally sold it and put the time into restoring my father’s ’56 Porsche instead. Champs are neat vehicles though, and I think less than 900 still exist. To find out more about them visit the Owners’ Club at: www.Austinchamp.com I wish I had possessed the time and money to restore the one I owned briefly. But I know it is happy in its new home. Back when the store Banana Republic first opened they were a safari themed store. The first thing you saw when approaching this clothing retailer was a Jeep sticking out of the front of the store. This rather small image was the only one I could find of the old Banana republic before they became what is basically an upscale GAP. I borrowed it from this article: Banana Republic: Themed retail That Once Was. For a long time I wondered what happened to the BR Jeeps. They were often hacked in half or had a corner cut off so they could stick out of the store. I was visiting Army Jeep Parts yesterday and stumbled into one! George Baxter said that this was one repaired with wood and used as a prop for his son’s prom. They did a rather good job with the woodwork (note even the fender detail!). But you can see where wood begins and metal ends showing how this Jeep stuck out of the storefront or wall. George confirmed that this was from a Banana republic store. I think I have seen others pop up on occasion for sale as parts or prop Jeeps. 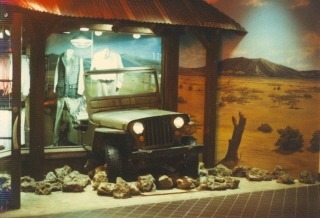 I miss the days when the local mall held at least one attraction for me, staring at an old Jeep in a storefront. 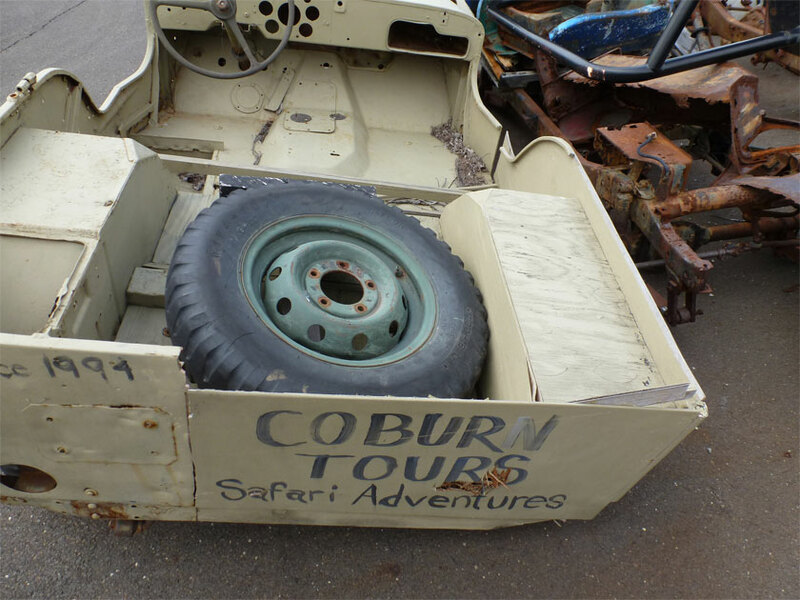 I know this blog is mostly Jeeps and other vintage vehicle, but I thought I would share a couple finds from this weekend. My girlfriend and I were visiting friends who sent us off to explore a collapsed tomato cannery. 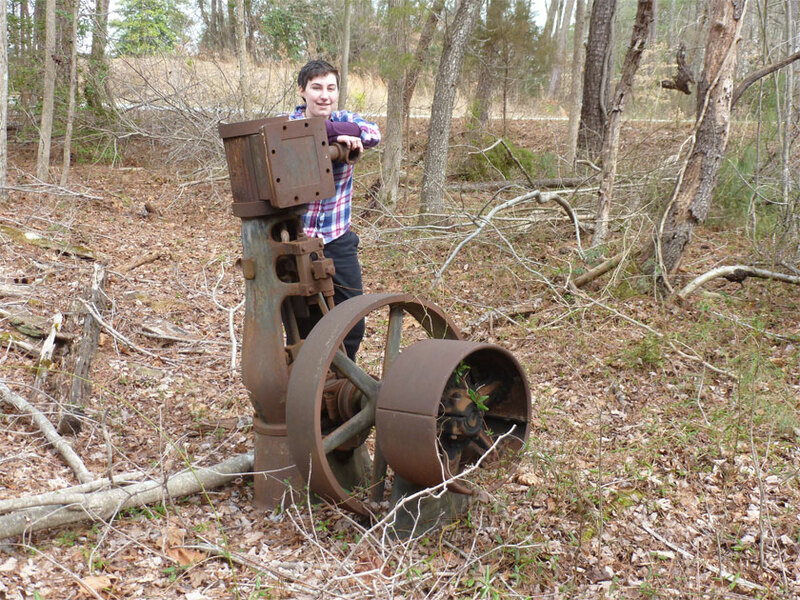 We embraced the idea of exploring an old industrial site and had alot of fun wandering the remains of the factory. 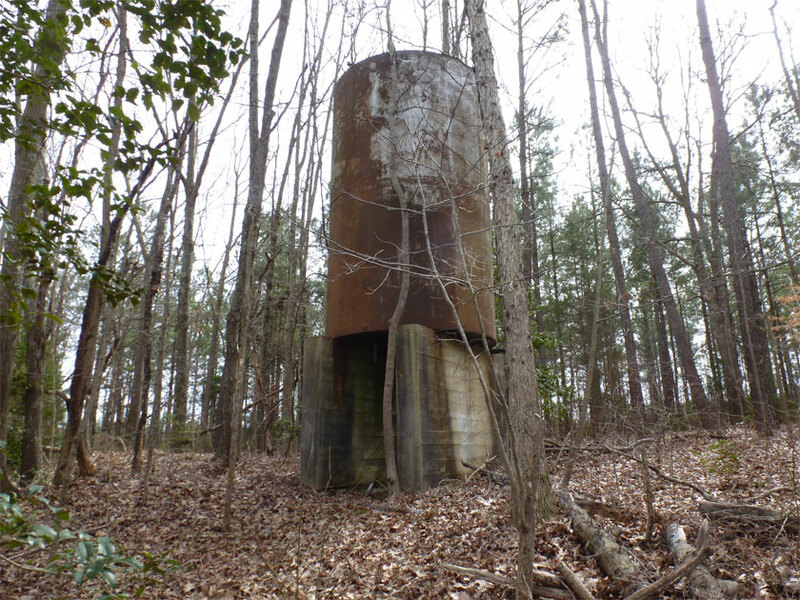 The remains of the ancient boiler sat in the forest and up on a hill was the water tower. 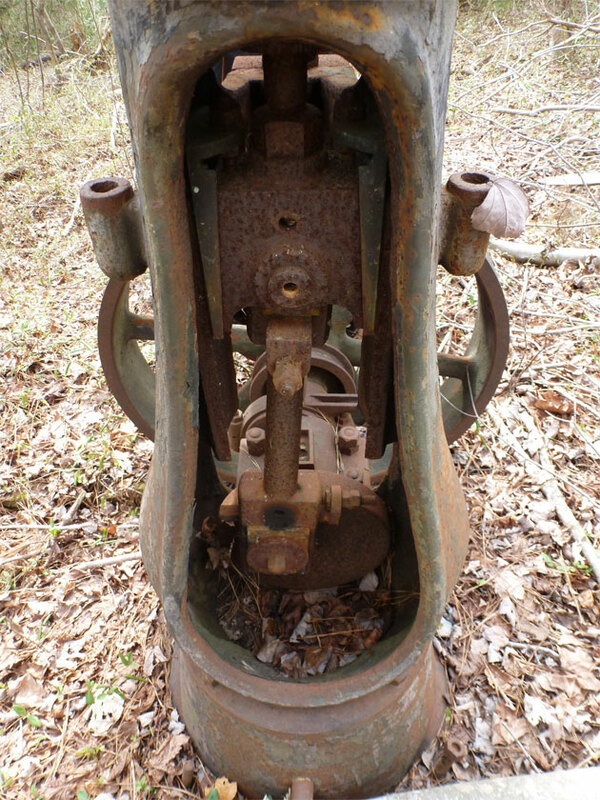 When I was looking through some old line shafts and canning machines my girlfriend shouted that she had found something very cool. I followed her voice and found this. She is 5’4″ which gives you an idea of the size of the engine. While we were inspecting the engine a truck drove slowly by. The driver stared at my pickup and then noticed us in the woods. He slowly pulled over in sight of us. I figured we were about to be kicked off the property and headed up to the road to meet the fellow. It turned out that he knows my friends and used to work on the steam engines in the cannery. We learned alot from him about the cannery, his time working there, and why it shut down in the 1960s. What a pleasant surprise! 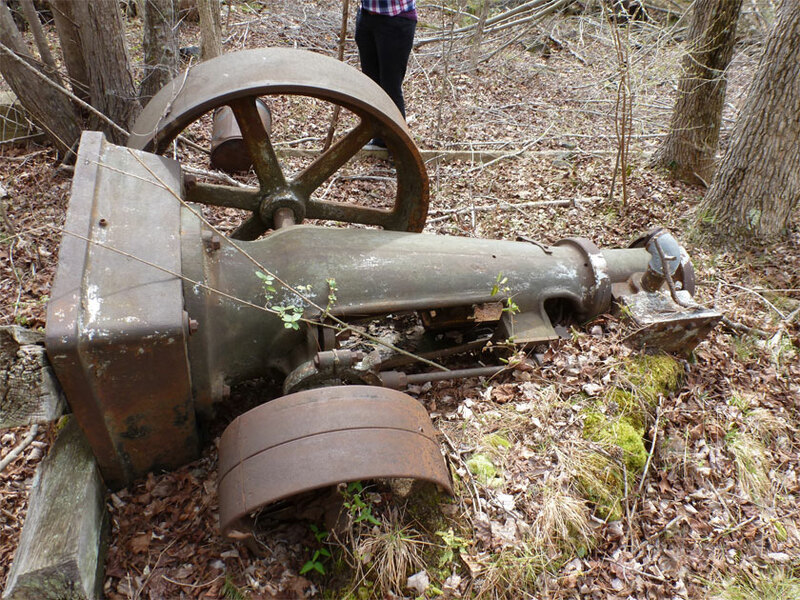 When we explored further we found an even larger steam engine on its side. 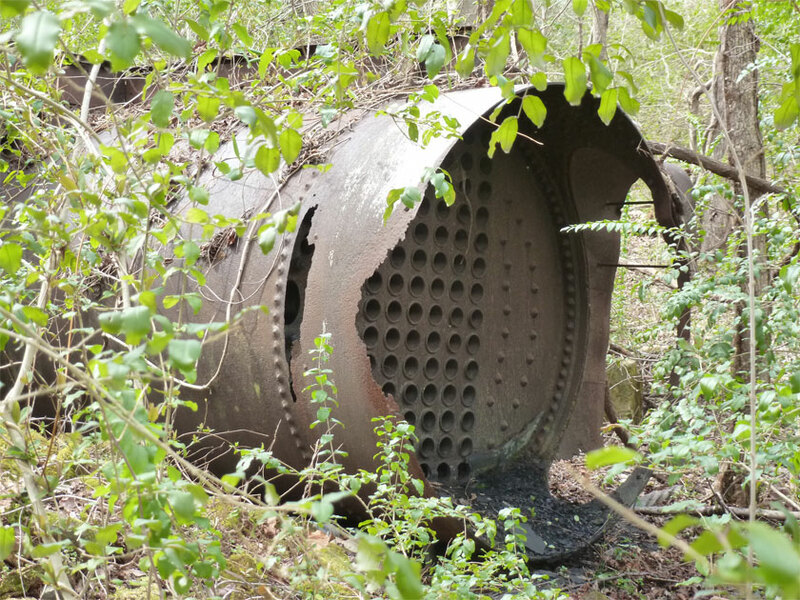 Currently I am trying to figure out the vintage of these, and if we should get some heavy equipment in there to save them (with permission of the owner of course). I would love to restore the smaller one! So in December of 2011 we built the GPW “Rarotonga” for International Military Antiques and their TV show “Family Guns”. Yes, we restored a jeep in a month. It was nuts and involved many nights with little to no sleep. Fast forward and that Jeep is now in Texas with a very happy new owner who found out that his neighbor had a 1942 Willys MB stored in the barn. 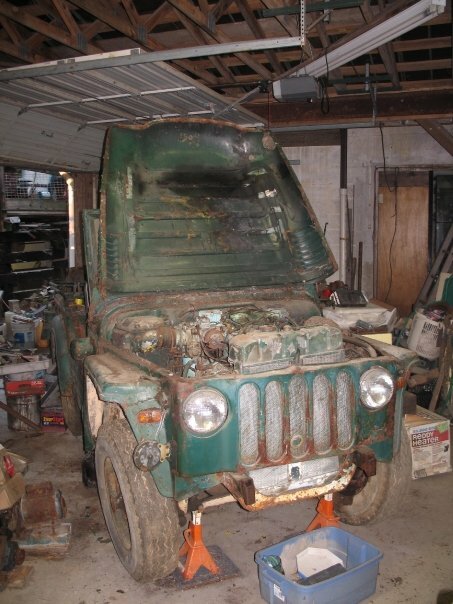 This Jeep has spent over 20 years doing farm work and has only minor modifications. The seller is the son of the former owner who was in his early 80’s when he passed. The price was right and I knew when I saw this that I HAD to find it a new home. 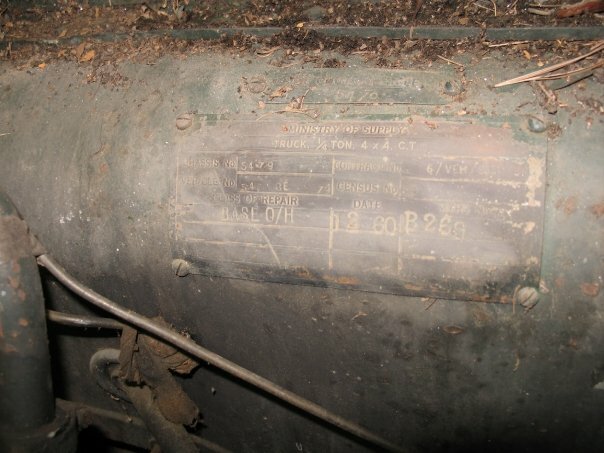 The MB has many original parts and a very original engine bay apparently. You can see it needs some steel work but having the original seats, handles, windshield etc.. all say something to me.